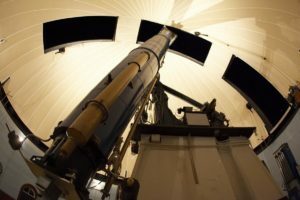 Leander McCormick Observatory is open on the FIRST and THIRD Friday nights of every month (except holidays) year round. 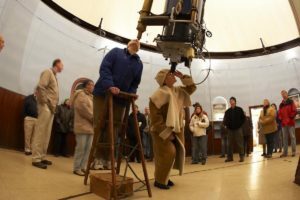 Visitors can view celestial objects through the historic 26-inch McCormick Refractor and other smaller telescopes (weather permitting), tour the Observatory, hear a presentation by an astronomer, and see the exhibits. All faculty, postdocs and graduate students participate through a rotating schedule. No tickets are required and advanced reservations are not necessary. 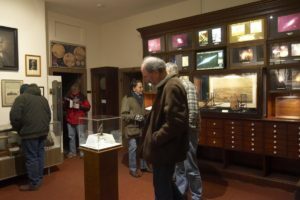 The Observatory is open from 9:00-11:00 p.m. during daylight saving time (mid March to early November) and 7:00-9:00 p.m. during eastern standard time (early November to mid March).